Buffalo Dining Club is one of the best little Italian Bars in Sydney (probably on par with 121BC). There is a fantastic selection of cheese, prosciutto, wine and pasta to satisfy the most discerning of food critics. It’s a quiet relaxing atmosphere this Saturday afternoon, Travel Czar wonders in with his usual bon vivant chilled “Live in Aberdeen, work in London” style and finds a lovely seat by the corner. 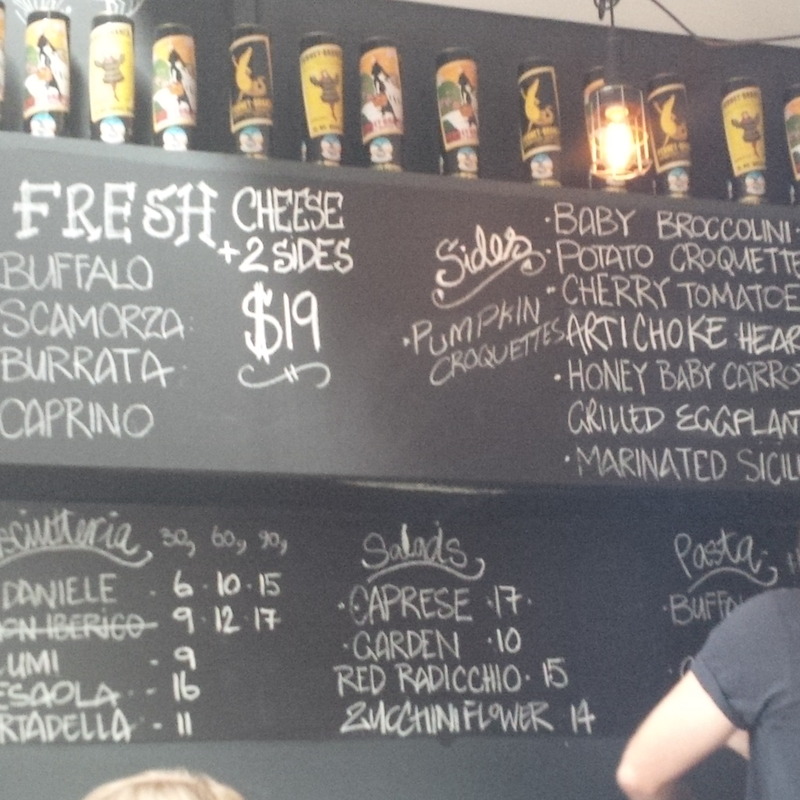 The menu is on the blackboard… which is such an Italian thing (Think Fratelli Paradiso, A Tavola and 121BC). The wait staff (which are quiet knowledgable) provide a beautiful wine list. Travel Czar opts for a glass of the Tormaresca “Neprica” Puglia IGT (2011). It’s a blend of Negroamaro, Primitivo and Cabernet Sauvignon. 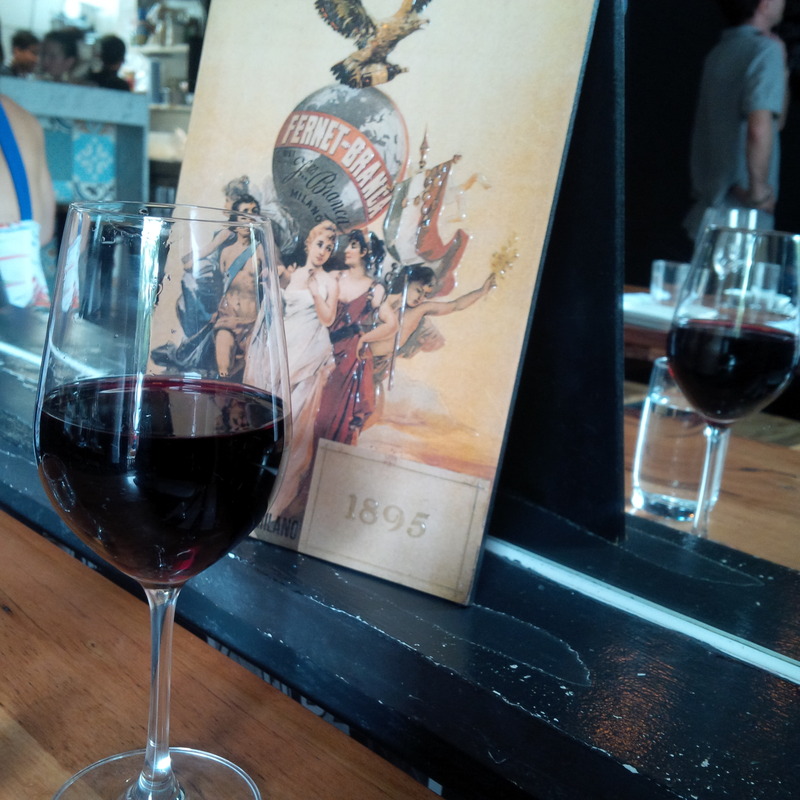 The wine has aromas of blackberry with light hint of raisins which escape the glass to fill the nasal senses. It’s a medium style wine with a light cherry taste but with some tannin dryness. The initial taste provides a burst of sweet fruit flavours on the tongue while a little bitter aftertaste lingers on the palate. The wine pairs perfectly with the Cheese Platter – which is a choice of cheese and two sides. Travel Czar opts for the Buffalo Mozzarella! Thick creamy “melt in your mouth” cheese is placed on a plate full of tapas delights. So let me go through everything on the plate. First there are these crumbly Italian herb biscuits which just break in your mouth releasing this pungent Italian herb flavour and letting the textures of the biscuit crumbs rub all over your tongue. Then there’s the Rustic Bread drizzled with olive oil. Here’s how you do it. Spread some Nudja (it’s a salami paste) – which adds salt and a light spice and peppery flavour, on the base of the bread and then add a dollop of buffalo mozzarella on top of it. The buffalo mozzarella is seasoned with rock salt which provides a nice kick to its creamy soft flavour. It’s a such a Zen moment for me. Then there are the Honey baby carrots. 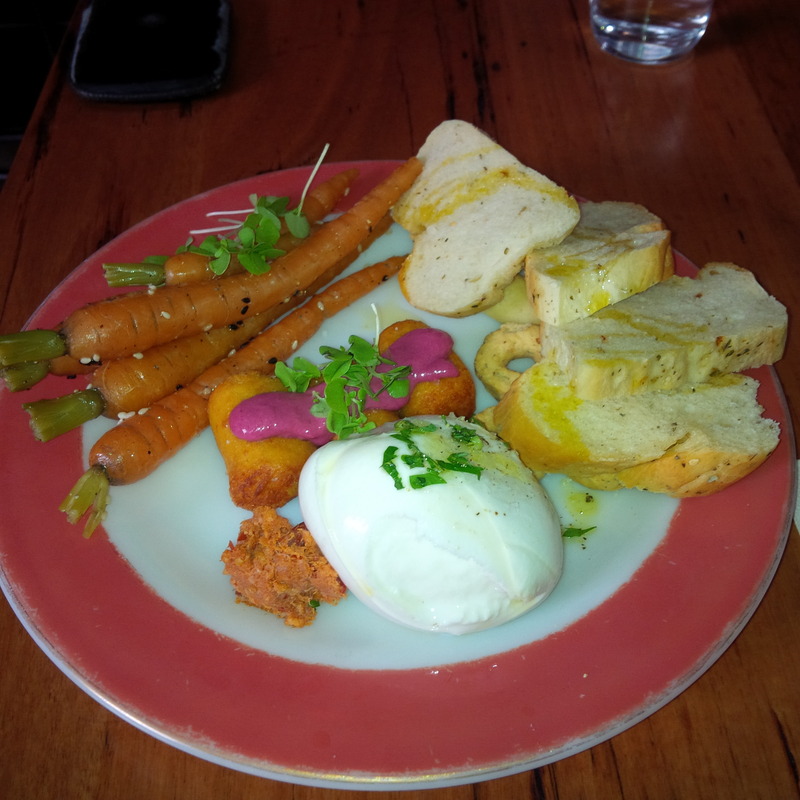 These are soft, silky and perfectly cooked (as good as the Eleven Madison Park carrot dish). They have light (not sweet at all) honey coating with the distinct carrot flavour and texture (they are not mushy like a puree but not hard like raw carrot). It’s beautiful and adds to the delight of the dish. The croquettes are delicious. A crunchy outside coating is broken to reveal the soft puree inside, which just melts on your tongue and seeps through every tastebud. It’s adds a little kick and comfort to the platter. I just love them. So time ticks by, the afternoon sun hovers, the wine is beautiful, it continues to flow and provides the perfect respite from this weekend afternoon. It dulls the senses, allows you to forget about the day and takes you to place you’d rather be (like on a plane for example). I feel like I am in Venice again! Oh please take me back to Italy… the free-flowing wine, the rich creamy cheese, the rustic bar food… Travel Czar doesn’t need any encouragement to travel… but he may just have found another one.